Are you getting your Outlook emails stuck in your Outbox after upgrading to Windows 10? I’ve seen this happen on several machines and it really seems to be a problem where Windows corrupts the Outlook database and/or profile on many versions of Microsoft Office (2007, 2010 and 2013). The easiest fix and one that I’d recommend here is to delete or move the stuck emails then close all programs that are open such as Outlook. Note: Do not close this Command Prompt window until the verification is 100% complete. The scan results will be shown after this process is finished. The time taken to complete this scan is different on every PC but usually can range from 20 minutes to an hour or more. If it solves your problem (which it has on over 50 client PCs to date) then please take a minute to drop a comment below or maybe buy something through our shop to say thanks. Why can’t I open a Word or Excel document sent to me? It comes up as loads of jibberish on the screen. A very common problem this one and I’m asked about it very often. The usual scenario is that “Person A” sends “Person B” a document and they are unable to view it. This leads to countless lost hours and backwards and forwards with documents, when all that is required is a simple update on Person B’s computer. For the terminology here, remember “Word” and “Excel” are part of the Microsoft Office package. So what is the solution to this Microsoft Office jibberish problem? The rtf format is opened by most word processors such as Wordpad, Word, OpenOffice Writer etc so is a good format to ensure maximum compatibility if you are not sure what program the document’s recipient has. To avoid problems I generally save in .doc format rather than .docx, even when using the Office 2007 suite, if I am sending a document to an unknown recipient. Better still, sending as a PDF allows your document to show as you intended because often the recipient will have different margins, paper size etc. Please drop me a quick comment below if this helped to resolve your problem! The procedure to remove all hyperlinks from a Word document is quite straightforward but a well-kept secret. This annoying behaviour often happens when you copy and paste text from a website. There is a simple way to remove all hyperlinks from word file. All hyperlinks will be removed at once and you should be left with plain un-linked text. Another trick I use to remove hyperlinks (and any other formatting) is to paste the copied text into Notepad. Copy the text again and then paste it into anywhere you want (Word, WordPress etc). This article describes how to fix this error using the Inbox Repair Tool (scanpst.exe). This works on Microsoft Outlook 2000, 2002 or 2003. 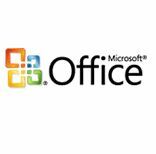 If you are using Microsoft Outlook 2007 or 2010 you will need to use the Office Diagnostics tools to perform a similar operation. Open the scanpst.exe program and it will ask for the location of the corrupt .pst file. Navigate to it and allow the program to make a second backup copy. Allow time for it to repair. It may say “not responding” but look for the activity on your PC, the hard drive light may be permanently flashing showing it is working hard on the repair. When finished it will tell you and you simply need to restart Outlook. 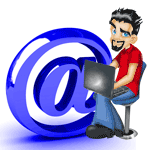 I suggest deleting unwanted emails, emptying deleted items then compacting the database. Finally save a new backup of the .pst file and archive.pst where necessary.